Patis Tito Garden Cafe is undergoing extensive renovation from April until the end of 2018 to provide you with a more delightful customer experience. We look forward to serving you again in January 2019. Please watch out for updates on our progress. PatisTito Garden Café is your destination for a memorable encounter with Philippine culture through Filipino food in our unique version of a Filipino home. Using only fresh and locally sourced ingredients, we serve slow-cooked meals within a verdant garden nurtured for almost 25 years. The La Trinidad Trading Post is the drop off point of freshly harvested fruits and vegetables grown in La Trinidad, Benguet. An early afternoon drive to the Trading Post can take an hour from Baguio City. As you are surrounded with maybe tons of different types of crops in a roofed area nearly the size of a football field, the interaction among traders murmur against the collective sound of sweeping footsteps, rustling sacks, cart wheels and warm chatter with faint laughter. You will pass through Binalonan, Pangasinan as you descend back to Manila before reaching TPLEX. 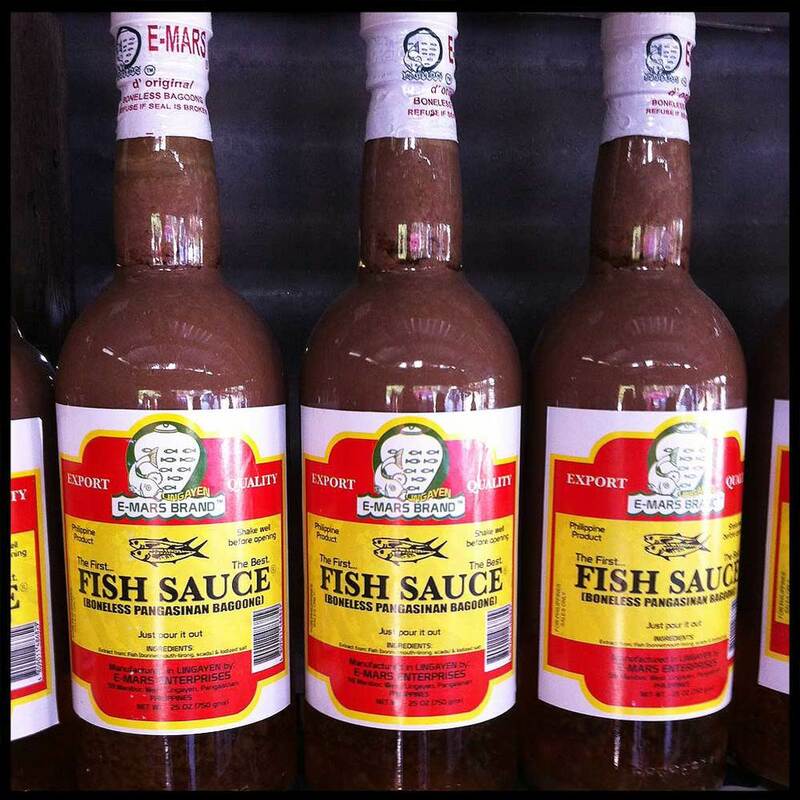 On the side of the highway, locals vend fish sauce or patis that is properly prepared by fermenting fish using "banga" without using a drop of salt to create this delectable condiment incomparable to those manufactured commercially. This town does not only sell patis originating from neighboring towns in Pangasinan but also bagoong and vinegar. This company's logo bears their process in making bagoong which is fermenting fish in a banga. 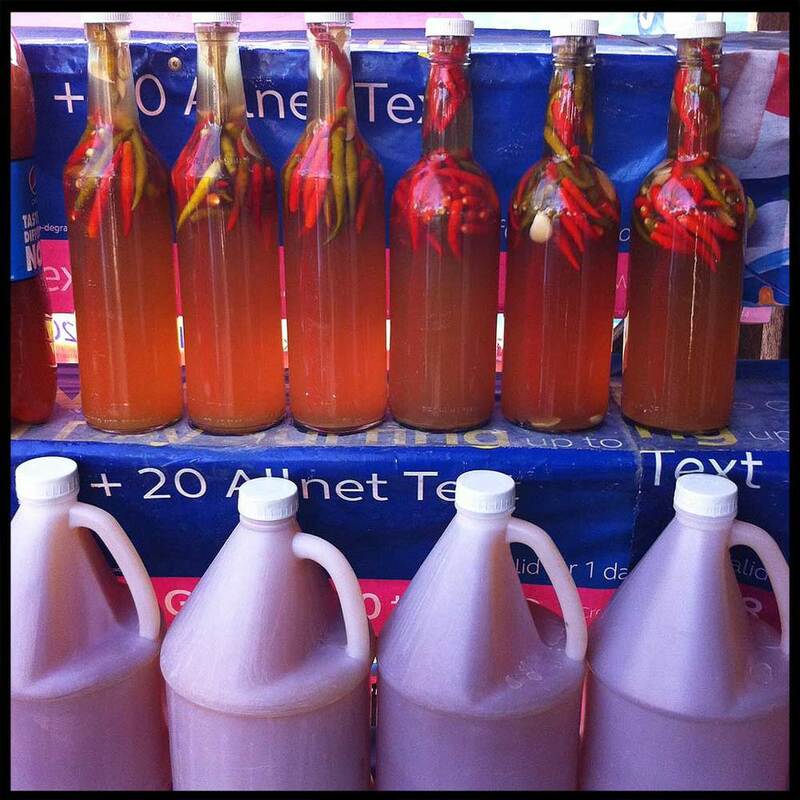 Bottles and jugs of different types of vinegar are found along the highway in Binalonan, Pangasinan. Like us on Facebook and follow us on Instagram.